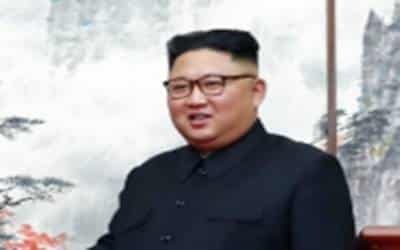 Seoul, March 22 (IANS) South Korea has proposed holding military talks with North Korea to implement a bilateral accord signed in 2018, but there has been no reply from Pyongyang yet, an official said here on Friday. "Recently, (we) suggested South-North military talks and are currently waiting for a response," Yonhap News Agency quoted a South Korean Defence Ministry official as saying. Last week, Defence Minister Jeong Kyeong-doo reported to South Korean President Moon Jae-in that the military plans to have concrete talks with North Korea to follow up on the Comprehensive Military Agreement that was aimed at easing tensions and building mutual trust. The September 19, 2018, agreement was signed by defence chiefs of the two Koreas during the third summit between Moon and North Korean leader Kim Jong-un in Pyongyang. The Koreas implemented some of the deals in 2018, including the trial pullout of frontline guard posts, disarmament of the Joint Security Area of Panmunjom and a joint survey of waterways in the Han River estuary.